"THE11 STEPS to a LUXURY BRAND. 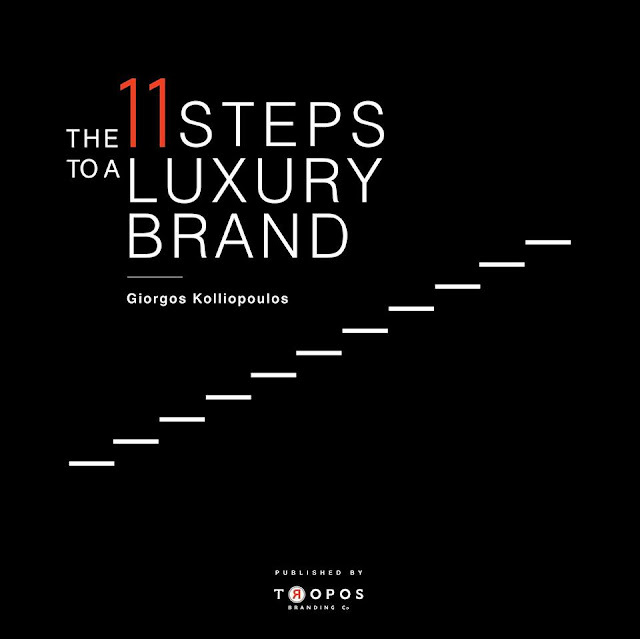 The First Practical Luxury Branding Guide in the World"
Giorgos Kolliopoulos ' breakthrough e-book “The 11 Steps to a Luxury Brand: The first Practical Luxury Branding Guide in the world”. The book is published by Tropos Branding Co , it is available from Amazon (Kindle Edition) and is, before anything, a book about a Call to Action: the action of creating extraordinary achievements that many people would love and feel passionate with.